I absolutely adore my hair. There we go, I said it. It's frowned upon to say 'nice things' about ourselves but in a world full of hate and, many of us struggling with confidence, it's important to practice self-love. Believe me, it's taken me years to be in a position where I love my hair but I'm so glad I took the time to cherish it and work with it, I'm finally getting to where I want to be with it. Side note: getting your hair into a healthy position will never happen overnight if it's as damaged as mine was, we're talking years. 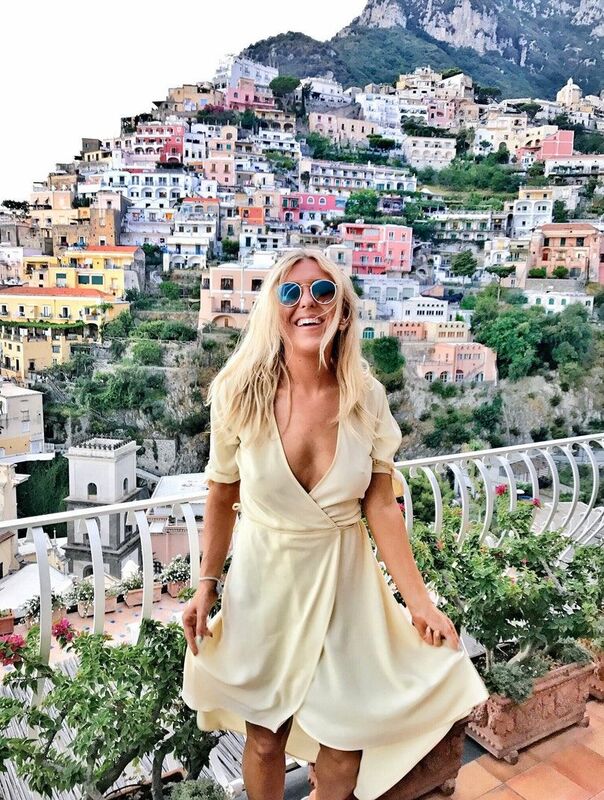 If you've followed me for some time, I'm sure you know all about my hair story, from really bad hair extensions to trying literally every hair extension on the market to find the best ones, to my hair refusing to grow and having bald patches. My hair extensions were like a curtain of confidence for me and without them I felt really ugly, for a very long time. I'm finally cherishing and embracing my hair, loving it too. Bad hair days have ruined my confidence, trivial, but true. I've been there, done that. We've all had those days where we destroyed our hair as teens and I feel lucky that my hair has forgiven me in time. Believe me, it was hard not to crumble and just go back to extensions but finally, I have my own thick, medium length hair which is dare I say it, *growing quicker and quicker by the day* and I'm gonna talk you through some of the things I've done to get my hair back into good condition. 1. Find a good hairdresser and never let them go - I find it hard to trust hairdressers, particularly because of the issues I've had over the years. My hair affected my confidence so much in the past and I often feel stupid sitting down and talking through that with a new hairdresser. Over a year ago now, I ventured into Sassoon salon Leeds and sat down with Lee. I've never looked back. We instantly clicked (read about him on my blog post about how to find the best hairdresser for you) and I recommend him to everyone. I've never come across someone so professional and talented. I didn't realise just how much science went into hair until I met Lee and he talked me through what he was doing with my hair, it's fascinating. I'm based between London and Leeds and typically, he's moved to the Manchester Sassoon now (gutted), but I follow him there because I trust in him. I truly believe my hair growth and hair health is down to Lee and the team at Sassoon, they have worked so hard together to ensure my hair stays on the right track. My Mum has always told me how important it is to spend money on a good hairdresser because it's something people see every day. It was her and my Grandma who first told me to go to Sassoon as they've both been going for years. He sat me down on day 1 and we came up with a plan. He proved me wrong (I was shocked when he said how often I'd need it cutting) and has made my un-growable, damaged, nothing hair turn into something I love and feel confident with now. 2. In-between cuts - I regularly go to different people for blow dries, from the top of my head, the best of the best are Conor and Tatty at Sassoon Leeds, the team at Aveda High Holborn in London and all the team at Show Beauty, Nottinghill. Popping in for a quick blow dry with any of these people always leaves me feeling wonderful. I love Show Beauty because it's so easy and quick, they have a few salons now and you literally walk in and walk out feeling like a bouncy goddess. It's perfect if you don't have hours to sit in a salon, you can even go in with wet hair and they'll style it. I love going to places like Sassoon and Aveda though for more of a long, relaxing time, with head massages, even neck massages at Aveda and more of a wellbeing treatment. Getting hair cut is the foundation of good hair but finding someone to blow dry in between cuts, is something that really gives me that confidence. Just make sure they use heat protection. The good thing is, a decent blow dry lasts me 3 days so I don't need to use any heat in between. It's just tricky when I want to work out! I can't explain how confident I feel when I walk out with a signature Conor/Tatty Sassoon blow dry. They make me feel like a new woman. 3. Regular trims - It's a real myth that having regular trims stops your hair from growing. The way I look at it, if I have regular trims it actually means it grows quicker because what does grow isn't dead so I can keep more of it rather than letting my hair grow for a year then having to cut off inches of dead hair. Phew, that's a long sentence but you get what I mean. When I first went through my hair struggles (I basically had tiny strands of hair and bald patches and was told my hair may just not grow anymore as it had been so badly damaged from bad bleach and bad extensions) I got it re-cut every 4 weeks and Lee worked with the movement of my hair (I don't understand the science but if you're Manchester based, go chat to him, he'll sort your hair worries) and you know what, it worked. It's kinda like a flower bed, the more care and nourishment I gave it, the better it got. Years on, my hair is finally thick, strong and in really good condition. It still feels very *pinch me* that I actually have hair. 4. Good products - I do swear by using good hair products, my favourite brands include Kerastase, Kevin Murphy, Sassoon, Aveda, Bumble, Shu Uemura and Redken. 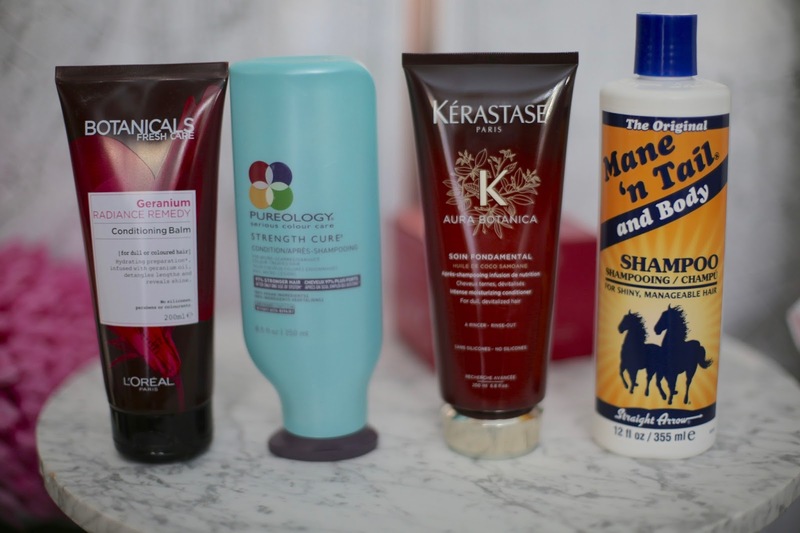 I've recently started using Mane and Tale too, a brand I've wanted to use for a long time. I do enjoy using luxury hair products but that's not to say more affordable products aren't good too. You can grab a tub of coconut oil and leave it on as an affordable but equally nourishing hair mask. Tresemme do an amazing coconut shampoo and L'oreal Paris do some of my favourite hair products (their new coconut range is great too). 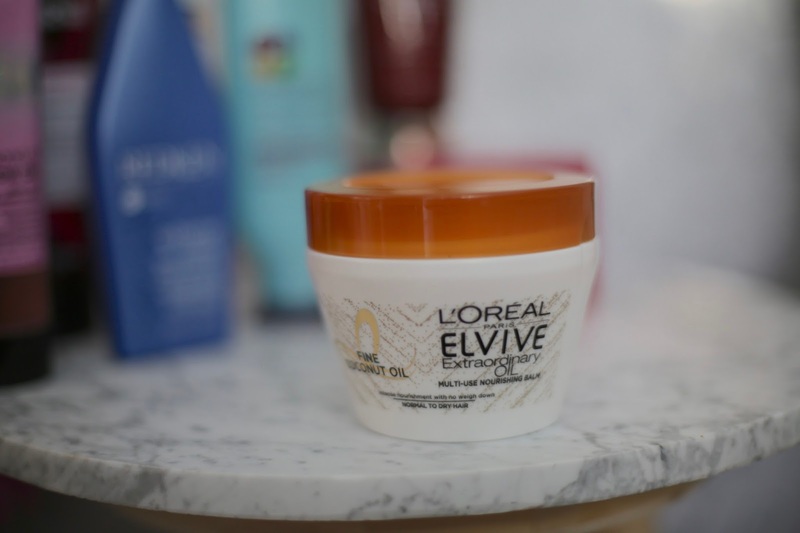 Gone are the days where more affordable brands would fill their products with parabens and silicone, there are so many great, affordable hair brands out there now. 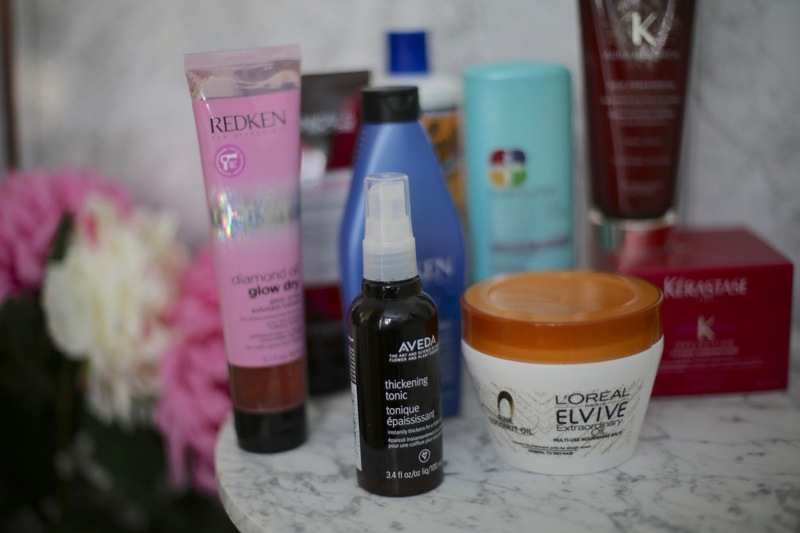 Find some of my favourite products for helping with damaged hair below, just remember, it's all about the cut and how you take care of it too, as well as products. - Coconut Oil - If you want a super affordable hair mask, just put some coconut oil on, there's this one by Vita Coco and this one by Lucy Bee. - Kiehl's Amino Acid - I love Kiehl's shampoo range as it's more natural than others and has so many good ingridients in it. - Redken's Extreme Range - Redken is one of my all time favourite brands. 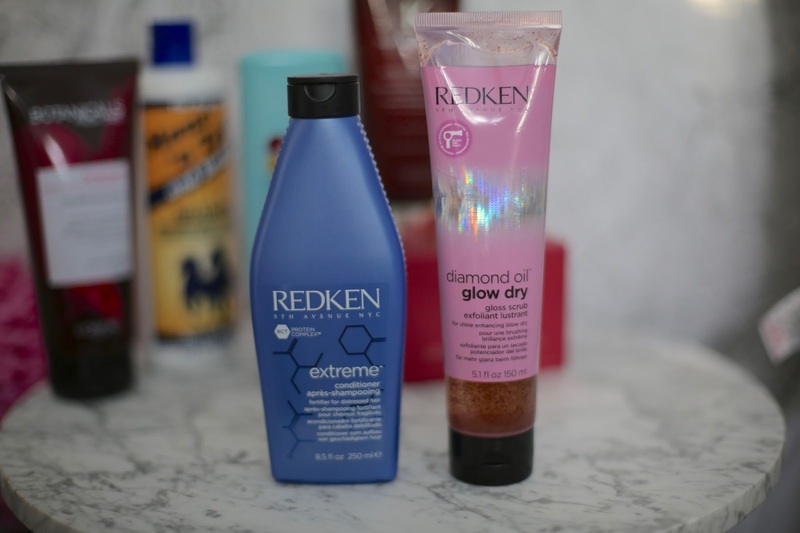 I swear by their products for strengthening the hair and if you get the chance to have a Redken treatment, jump at it, they're amazing for damaged hair. - Aveda Damage Repair - Aveda have long been one of my favourites for top products, from their scalp cleansers to their damage range and their sun range. - Kerastaste L'Incroyable Blowdry - This is my number one product and I use it whilst blow drying. It protects my hair from heat and my hairdresser swears by it. - Moroccan Oil - Another product I use when blow drying, I put a tiny bit on the ends. - GHD Advanced Split Hair Repair - I love everything by ghd and their split hair repair is one of the best for blow drying. I adore everything by ghd. - Mane N Tale - I was recommended this years ago for hair growth and will be reporting back to let you know how I get on, so far so good. - L'Oreal Extraordinary Oil - I can't yet find the balm featured above online but will be sure to update when I can. You can use this in so many ways, it's such a multi-tasker and full of coconut oil too for soft hair. You can't go wrong with any L'Oreal products, they use top ingredients and top science, L'Oreal Proffesional are also one of my favourites. - Botanicals - Such a wonderful, natural haircare brand by L'Oreal. I love their products to use before blow dries, they have so many amazing ranges. 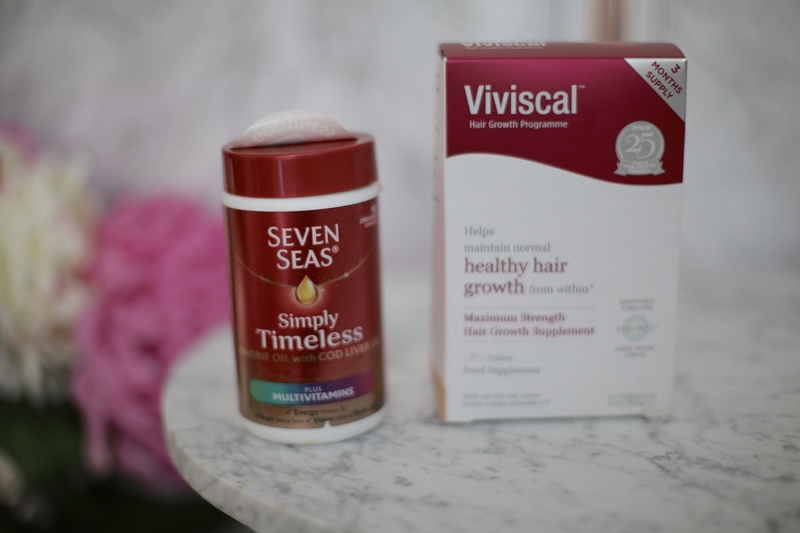 - Viviscal - I'm starting to use these tablets which are meant to promote hair growth, they're some of the best on the market, I can't wait to see if they actually work. They nourish the hair follicle from within so let's see if these help grow my hair! - Bumble - Bumble is a brand I used to use a lot, their thickening shampoo and hair preserving conditioner are two of my favourite products. I also use their masks a lot to sleep in. - Sassoon Treatment - Sassoon sell an amazing treatment in salons too which you can take home in a bottle. Coating it on every Sunday in your bath! 4. Play With The Colour - When I was trying to grow my hair big style, I'd barely colour it. Now, I get it done every 12 weeks and the sign of a good hair colourist is one where your colour just gets better with time. It's like that with my hair colourist, I can leave it for 12 weeks and even with loads of growth, it grows out beautifully and doesn't look bad. It gets better with time. I've always been pretty boring with my colour if I'm honest. I've stuck to blonde shades and rarely move from this. It's only in the last month I decided to go wild (seriously, so wild) and get a silver toner put on my hair. You can't really tell on this photo but I have *some* silver strands and actually, I love the icy tones so much, I think next time, I'll ask for more. 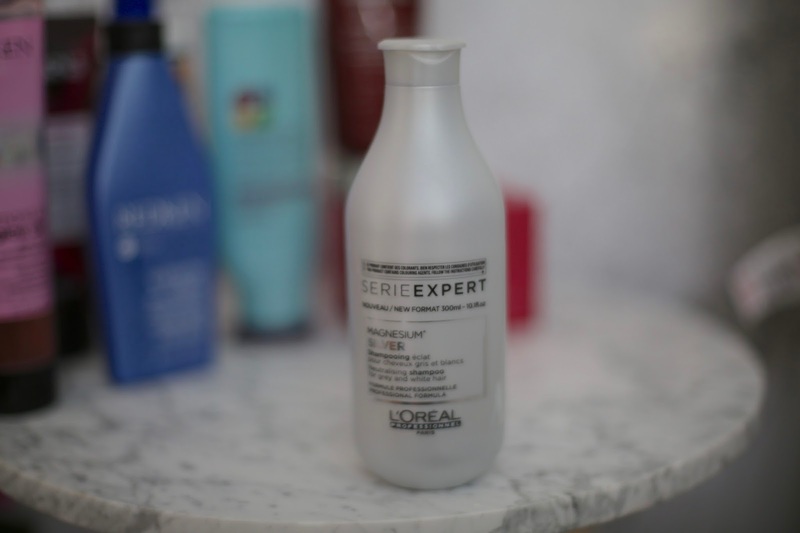 I've been using L'oreal Professional silver shampoo and it'a definitely the best I've come across. My colourist is absolutely incredible. Louise at Sassoon Leeds is one of the best in the trade (she's got a very long title to prove it too) and whether I want my basic blonde highlights or a silver toner, she just gets it and does it. One thing I'd say about Louise, she's so quick and some people take days to colour my hair. I'm so happy now I've mixed my colour up a little bit, without damaging my hair. It instantly just gives me more confidence and I feel like it stands out a bit better. She really knows how to apply colour so it looks bright and fresh, without snapping all my hair off and damaging it more. I've managed to stay blonde but my hair has still grown thick and got stronger. We've all been there (fellow blondies), coated our head in bleach and then wondered why our hair is frazzled. I luckily moved away from that and Louise just knows what to do to ensure it's vibrant but my hair is no longer frazzled. I did dye my hair pink once with L'Oreal pro and I actually loved it. It's fun to play with colours, particularly because there are a lot of wash out ones around now. 5. Play With The Style - I can be a bit lazy with my hair style and either leave it to try naturally or just blast it with my ghd hair dryer (of course, the best). When I was getting my hair back to strength, I refused to use any kind of heat and I'm so glad I now feel confident enough to use heat again. The only way to make my hair grow and get back into good condition was to be harsh with it and tie it up every day. I didn't use heat for a year (which killed my confidence as I felt and looked awful) I don't use heat on it every day now, usually every other day or just a few times a week and I always use a heat protection. I absolutely love the look of my hair when it's been tonged and that's why I now spend a bit more time playing with hair styles. On 'bad hair days', eg, when I have frizzy holiday hair, I've been wearing it in a low pony, this was always such a no go for me but I get so many compliments. I guess it's all about playing with your hair. I have to say, of course for me ghd do the best tools, I swear by their straighteners and their tongs and they really are the best in the business. I recently purchased a Tresemme curling tong as the barrel is perfectly thick so I get dreamy curls every time and it's so easy and quick to use too, as a cheaper alternative. 6. Regular treatments - Now I do colour my hair more and use heat, I ensure I have regular treatments. My absolute favourite is the liquid gold at Sassoon which just restores my hair and makes it feel so full but look so shiny. I also once had a treatment done in London with Redken, it was their heatcure treatment and honestly, my hair has never looked or felt so good. You can always do regular treatments at home too, I swear by Kerastase and Redken for these too but you can't beat good old coconut as already mentioned. Aveda also have an amazing product that literally clears your scalp (online here) of everything (it sounds awful!) but it means your hair can grow freely as there's no gunk on your scalp. I also had this done at Sassoon too where they show you all the gunk on your scalp with a camera, it's so worth it, see it as clearing your flowerbed/soil so the follicles/grass can grow. I am still very good with my hair, ensuring I don't miss a hair cut, making sure I use the right treatments, waiting 12 weeks between colours and using blow dries as my styling so I only have to use heat once-twice a week. Slowly but surely, we are still getting there. I'm paying for the mistakes I made and the damage I did to my hair years ago, shocking extensions literally ripping out my scalp and preventing my hair from growing for years, bad bleach jobs, but you know what, with perseverance and care, I no longer have bald patches or tiny little strands of hair. Yes I had to chop what I had left off and go back to basics and yes, I couldn't use any heat but I'm seeing the benefits now of this coupled with a good hair dresser and good products. A really special shout out to the team at Sassoon here too who have worked with me tirelessly every single step of the way. I am a nightmare client, walking in with the worst hair in need of TLC and they worked with me to restore my confidence. Also a shout out to the products I've been using above and the blow dry salons I've mentioned, I always walk out feeling a million dollars and I feel so happy that my confidence is finally coming back. So there we have it, treat your scalp like a flowerbed, treat your hair like silk and find the hairdresser for you. Be careful with heat and try not to use it every day. I hope this may help some of you when it comes to fixing damaged hair. Thank you so much for reading, I just felt like giving you an update on my hair journey because I really do think a good hair day totally boosts your confidence. Hair care is one of my favourite topics and favourite things as I've done so much research into it over the years because of my damaged hair! Do you have any hair concerns? Do you use any of the above products? Do you get on with your hairdressers?